Ben (left) and Jerry, in the early days of launching their ice cream business. In the early days of launching their now legendary brand, Ben and Jerry lived and breathed ice cream. They would sleep on their freezers some nights. But one thing was always more important than their business: Their friendship. That, says Ben Cohen -- the “Ben” who founded the famous Vermont ice-cream in 1978 -- is the secret to their long-lasting working relationship. It’s what got them through some long, stressful days, and helped them avoid serious clashes. “We chose to make our friendship the most important thing. The way we worked, whoever felt the most strongly about it got their way,” Ben told Entrepreneur during The Feast social entrepreneurship conference in Red Hook, Brooklyn, earlier this fall. That kind of co-founder compromise allowed Ben and his co-founder Jerry Greenfield to survive through many ups and downs, including the company’s takeover by consumer-products conglomerate Unilever in 2000. “It really helps to have a solid friendship with whoever you are doing it with before you start the business,” says Ben. Ben and Jerry met in gym in the seventh grade. (“Running around the track, we were the two slowest, fattest kids in class.”) The two remained friends through college. Jerry failed to get into medical school, and Ben dropped out of college to pursue a career as a potter, but wasn’t making many sales. Ben & Jerry’s was almost a bagel business. With $8,000 between them, Ben and Jerry had decided they wanted to bring a trendy food concept to a rural, college town. They narrowed it down to bagels or ice cream. Fortunately, the bagel idea turned out to be too expensive. The friends went to a used restaurant-equipment shop outside of Albany, N.Y., and tried to negotiate the cheapest possible prices on a rotary oven and other equipment. The old, cigar-smoking shop owner, Lou, promised to give Ben and Jerry the best prices he could, but it wasn’t enough. “We couldn’t afford the bagel stuff. And that’s why we decided it had to be ice cream,” says Ben. The would-be doctor and would-be potter taught themselves how to make ice cream through a correspondence course from Penn State University and with the textbook Ice Cream by Wendall S. Arbuckle, who Ben calls the “father of American ice cream.” To brush up on their business skills, they bought how-to booklets written by the Small Business Administration for as little as 15 cents a piece. 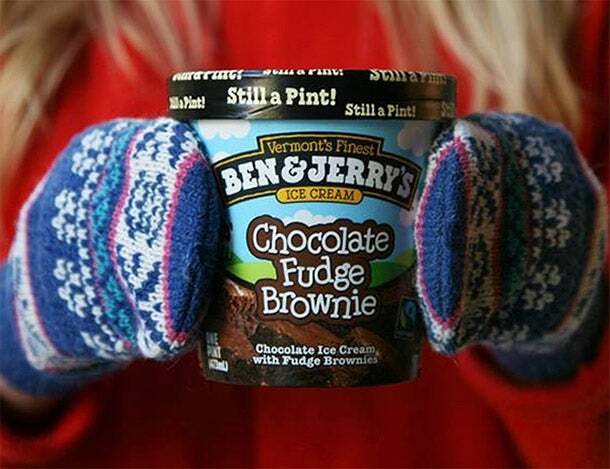 Ben and Jerry often worked seven days and 100 hours a week to get the first shop up and running. Some nights, they didn’t bother going home, opting to snooze on top of the industrial freezers instead. Slowly, they went on to grow their first ice-cream shop -- in a renovated gas station in Burlington, Vt. -- into a $300 million business famous for quirky flavors such as Phish Food and Cherry Garcia. Ben (left) and Jerry, a couple of years ago. 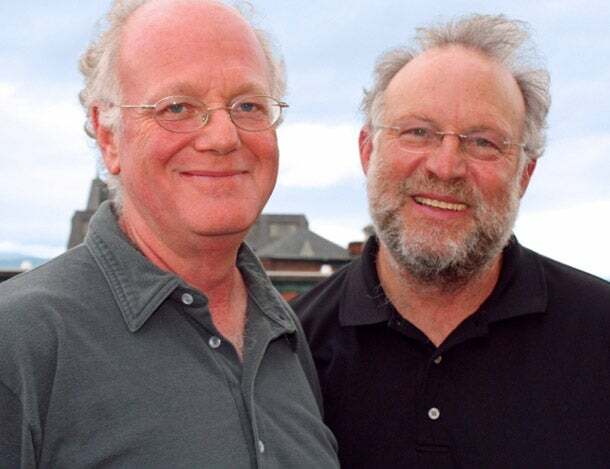 As partners, Ben and Jerry each had absolute veto power if either of them felt strongly that a certain decision would send them in the wrong direction. But this decision-making authority was used “very, very rarely,” says Ben. Primarily, the childhood friends turned multimillion-dollar business partners would either agree on what to do, or agree on whose opinion was the deciding factor in a particular situation.